Autism is starting to be understood more and more, and research is slowly starting to branch away toward just diagnosing people with autism. Can dogs have autism? This is a question that many dog parents start to ask when their dog doesn’t act like they think a dog should. We’re going to go in-depth to cover the answer to this question. Additionally, we’ll cover possible causes, symptoms, how you diagnose it, managing it, and more. 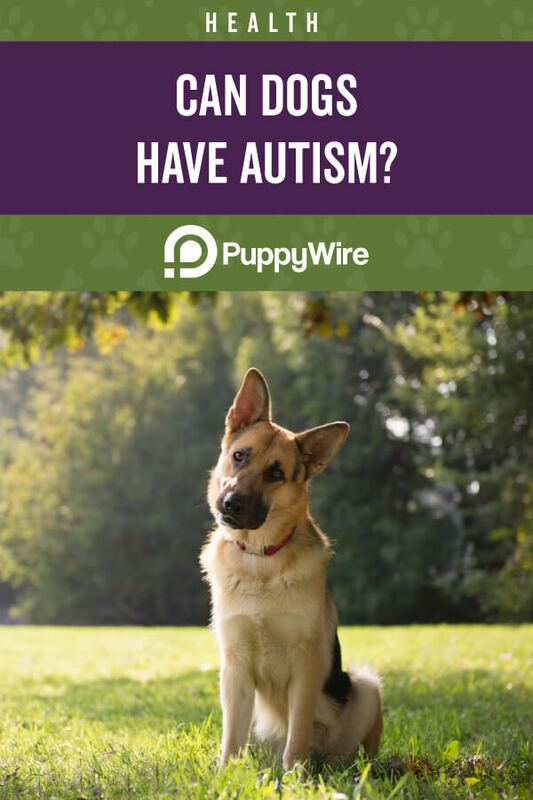 You’ll get a good understanding of autism in general, as well as whether or not your furry friend can have it. Researchers don’t have a definitive answer, and they prefer to call it canine dysfunctional behavior instead of autism. Even though the symptoms are almost identical, this is a very new field of study for researchers. It’s far to early for a definitive answer. However, dogs are able to display behaviors that mirror autistic behaviors in people, and the first documented research of this phenomenon dates back to 1956. Recent research in 2015 by the American College of Veterinary Behaviorists reported that Bull Terriers and repetitive tail chasing may have autism links. These promising findings coupled with the dog’s phobia tendencies and the repetitive motor movement of chasing their tails led researchers to believe that this could be proof of autism existing in dogs. A second possible cause of autism in dogs is Fragile X syndrome. In humans, this syndrome has a few prominent markers like a long face, high forehead, large ears, and a high-arched palate like you see with many Bull Terriers. More research is needed in this area before anyone can make a definitive claim. The behavioral aspects of autism in dogs are very close to what a human displays with staring off into space, running away or staying still for no reason, or avoiding objects or people. They typically don’t like new pets, toys, people, or situations because they’re irrationally afraid of things. Your dog may not be able to express their emotions correctly, and this can lead to odd or erratic behavior patterns. They may get scared for seemingly no reason, and this can cause them to avoid places or people that don’t present a threat. They may hide or retreat. Because your dog exhibits odd patterns, they may stay still or not show interest in anything that is going on around them. 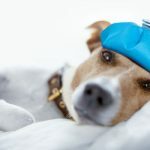 You may think that your dog is sick or lazy when it’s really just your dog’s behavioral pattern. Dogs with autistic-like behaviors feel things differently, and this causes them to react to stimuli by liking it to the incorrect emotions. This can cause them to cower or lash out when you go to gently pet them, and this can be disheartening or even scary for you as an owner because it makes them unpredictable. You dog may display odd social interactions when they greet you or other animals. They may ignore you when you call them, have no interest in engaging other dogs or have little interest in daily activities like eating or going to play. Scientists are still debating autism’s existence in dogs. Humans have a set list of symptoms that allow doctors to make a definitive diagnosis. There is no set symptoms for dogs. Autism is widely accepted in humans. 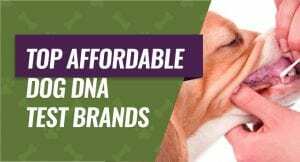 Your veterinarian is the only one who can give you a definitive diagnosis, but they may not call it autism because there isn’t enough concrete proof yet. For your vet to give you a tentative diagnosis of autism, your dog should display some of the behaviors we listed earlier. You want to keep track of these behaviors and give your vet a comprehensive rundown of all of them. Once you do this, they may give you a diagnosis that allows you to come up with a treatment plan. Just like autistic people need changes in their diets from time to time, your dog can also benefit from it. 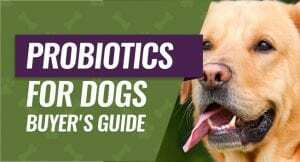 You do want to consult your veterinarian before you change your dog’s diet because they’ll be able to recommend safe alternatives that fit into your dog’s lifestyle and needs. Exercise is a great way to get your dog out and moving around because they won’t have time to think or be anxious. If you wear them out both mentally and physically, they should have lower levels of stress and anxiety overall. This leads to a happier and healthier dog. If your dog displays aggressive or repetitive behavior, your veterinarian may prescribe tranquilizers or Fluoxetine. 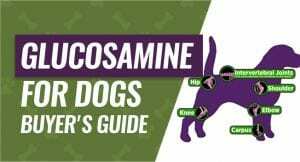 Fluoxetine is an antidepressant that is already commonly used for both human and animals who display repetitive or OCD-like behaviors, and it can help to calm your dog down. 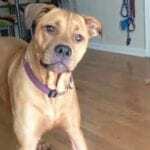 Since dogs who exhibit autistic-like symptoms tend to not be able to handle change well, you may want to consider getting them into some sort of a set routine. This could be having their meals at specific times each day, playing at the same time each day, and putting them to bed or getting them up at the same time. You should also avoid rearranging your furniture. Your dog is going to need a space just for them that they can retreat to in order to feel safe, secure, and calm. This can be something as simple as a crate with an open door that allows them to come and go as they please, an isolated room away from the main traffic areas of your home, or even a piece of furniture they can get behind and hide. 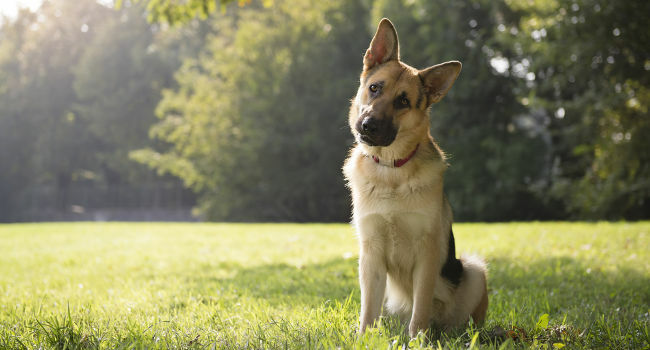 Can dogs have autism? There is no concrete answer. If you look at it from a behavioral point of view, the answer is a definitive yes. If you look at it from a scientific standpoint, the answer is unknown. It’s up to you to decide if your dog has symptoms and talk to your veterinarian to see what they recommend for treatment.